Do you remember how you felt after your last interaction with another person either on the phone or face to face? That person – it could have been a customer, a colleague, a friend or even a member of your family. Did they make you feel good, uplifted and more positive? Or did they leave you feeling neutral? Or did they make you feel down and more negative? Unfortunately, most of us have grown up in a negative culture where it’s much easier to tell people the bad news or what they did wrong rather than praising them when they succeed. Research in the United States found that 65% of employees received no recognition for good work in the past year. Similar research in other countries of the world shows comparable results. Other research has shown that the number one reason people leave their job and customers take their business elsewhere is that they don’t feel appreciated. And if you think about it – many people leave their partners for the very same reason. If customer’s leave an interaction with you or one of your team feeling better than they did before, then they’re much more likely to come back, recommend you to other people and spend more with you. If one of your team feels better after an interaction with you then they’re much more likely to pass that feeling onto a customer. Remember – Hand out warm glows, not dampeners! 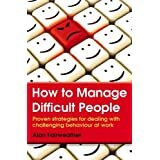 This entry was posted in communication, difficult people, motivation and tagged Alan Fairweather, Behavior, Business, confidence, Critical thinking, Customer Management, customer service, Motivation, motivational speaker, Positive psychology, self-belief, success. Bookmark the permalink.